Nutrients straight from the earth and ocean are ready for your garden in Down To Earth Liquid Kelp & Potash Fertilizer. 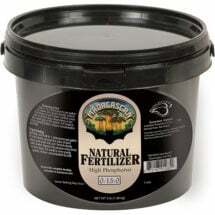 The combination of natural growth stimulants and enzymes in these elements help plants weather stress and pack on more growth and productivity! 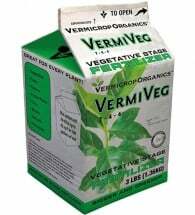 Available in quart (32 oz.) and gallon (128 oz.) sizes. 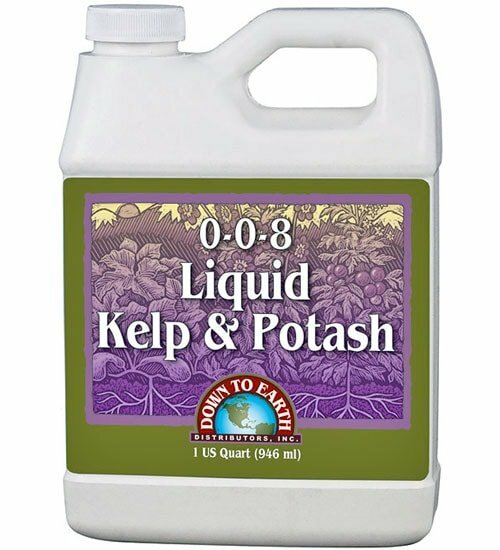 Soil: Add 2-4 Tbsp per gallon of water and apply around the base of plants. Foliar: Mix 2 Tbsp per gallon of water and spray to the point of run-off. Repeat as necessary. 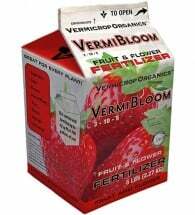 Containers: Use 2-4 Tbsp per gallon of water depending on growth stage of plant. Repeat as needed. Houseplants: Mix 2 Tbsp per gallon of water and apply around the base of plants every other month. 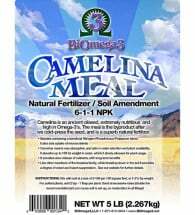 Formulated from sulfate of potash from the Great Salt Lake and Ascophyllum nodosum seaweed from the North Atlantic Ocean with added humic and fulvic acids. Hand harvested and carefully sourced for quality! Powerful and completely odorless.